Our Commitment To Our Employees! Employing only the Best quality Electricians in the Field! 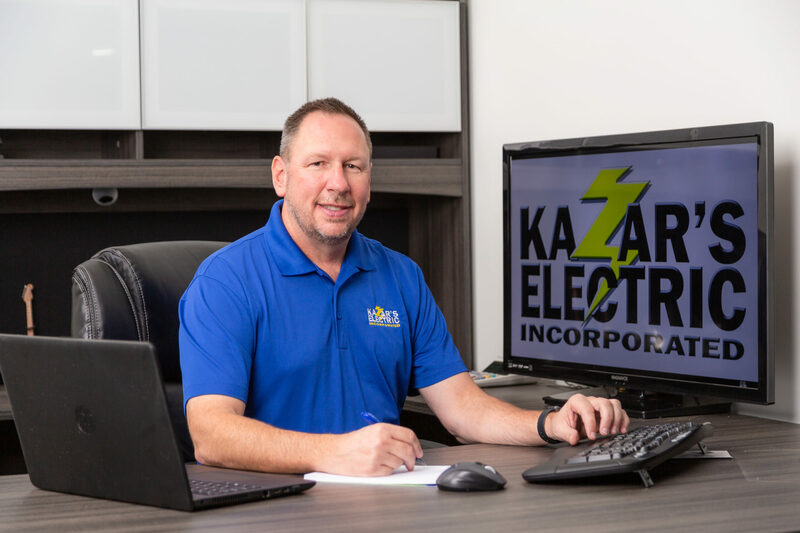 Kazar’s Electric Inc. Strives to hire, train and retain high-quality employees. We look for individuals who have demonstrated skills and experience, good character and both potential for and commitment to career development. apprenticeships and codebook reviews and motivated employees have a great opportunity for career growth. If you are interested in learning more, we invite you to fill out this form as detailed as possible and submit the information. Please fill out the form below to apply. Or please stop in our office to fill out an application. What interested you in an electrical career? Are you comfortable climbing into attics or crawl spaces? Do you have any physical or medical limitations? Are you willing to work long hours and weekends? Can you park a company vehicle at your home?